Timing is everything (There’s another one of those statements. I’m an advertiser’s nightmare). Anyways, the statement ‘knowledge is power’ is the foundation of the book I wrote and the posts on this site. Knowledge – about how your body works – is power – to help you overcome the challenges of weight loss. The more you understand about the body the more tools you’ll have to be successful and the less likely you are to fall prey to marketing gimmicks and fads. I think the most profound example of this comes from an understanding of the mechanisms of how your body feels full in response to eating. Most people have the misconception that the stomach stretches in response to eating. They imagine that when it reaches a certain amount of stretching fullness ensues. The term “full” implies that the end of the desire to eat is a result of how much space is left in our stomach. Unfortunately, this is an oversimplification that does not capture the reality of the biology. I prefer to use the term “satiety” which means to feel satisfied because it doesn’t oversimplify. It’s also a fancy term that makes me appear smart. One of the advantages of being a doctor is that you learn fancy terms that make people think you’re smart. Regardless, the feeling you get when you no longer have a desire to eat is only partially related to how full your stomach actually is. So let’s drop some knowledge on you. When you eat a meal, the stretch of your stomach is only a small part of the mechanism that leads to satiety. More important is a complex biological process whereby the nutrient contents (proteins, fats, and sugars) trigger the cells in the stomach and small intestine to produce various chemicals (hormones and neurotransmitters). These then travel to a part of the brain called the hypothalamus which is the location of your brain where ‘fullness’ lives. When enough of those chemicals trigger enough nerve cells in the hypothalamus the desire to eat is eliminated. This is a powerful signal as well. Imagine how tempting the most desirable food is when you’re totally stuffed. 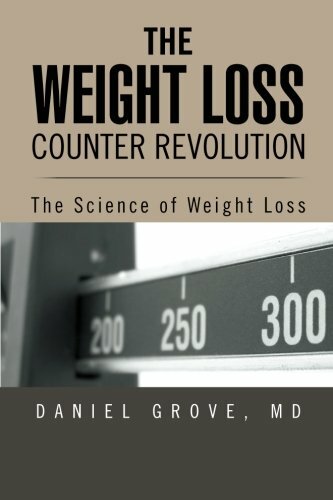 The problem with respect to weight loss is that there is a delay between the moment when those chemicals are produced until they reach a critical threshold in the hypothalamus to trigger satiety. During this time you will feel just as hungry as you did when you started eating. The amount of time is a very important contributor to obesity. As evidence for the importance of this phenomenon functional brain imaging studies have shown that certain genetic conditions (e.g. Prader-Willi Syndrome) that predispose subjects to obesity have a very long time between the starting of a meal and the feeling of satiety. Other studies have shown that the amount of time it takes to feel full is correlated with the amount of obesity. What does this all mean? Let’s say your time is 40 minutes – meaning it takes 40 minutes from when you start eating until you feel full. Let’s also say that one hamburger is enough to make you feel full. If you eat that hamburger in 20 minutes you will still feel hungry even though you have eaten enough to satisfy your hypothalamus. You might then eat another hamburger or whatever else is in your reach. Once you reach the 40 minute mark you will feel suddenly full. As an aside this is why you go from being hungry to full suddenly. The rapidity with which you achieve satiety cannot be explained by stretch of the stomach alone. Now imagine you ate your hamburger and then waited until the 40 minute mark. You will feel satisfied and will have eliminated all the extra calories from the extra hamburger you would have eaten had you not waited. Incidentally, this is why weight loss methods that slow down eating (like mindful eating) are successful. This knowledge of your “full clock” can now give you power to overcome your food cravings. Here’s how you do it. For a few days attempt to calculate the length of time it takes you to feel full. I have heard some people say the time is 20 minutes for everyone but the evidence shows that everyone has a different time. Once you have gotten an idea of how long it takes until you feel full use that to guide your eating. Eat a little less than what you think a reasonable amount would be. Then do not eat anything else until your time is up. During the in between time leave the table and do something else to distract you. Alternatively eat at a pace where you will finish your food around the time that your time is up. Once you reach your full time, if you’re still hungry, eat a little more and then wait another 10 minutes or so. If you put this into practice you can significantly reduce your calorie intake without making any major changes in the food you eat. You don’t have to give up your favorite foods, eat like a caveman, or a diet like a crazy person (which can’t be maintained anyways). That’s a lot of power from a little bit of knowledge. Imagine what you could do with the rest of the knowledge you could gain from reading books such a the highly recommended Weight Loss Counter Revolution which can be purchased by clicking here. Please forgive my shameless self-promotion.